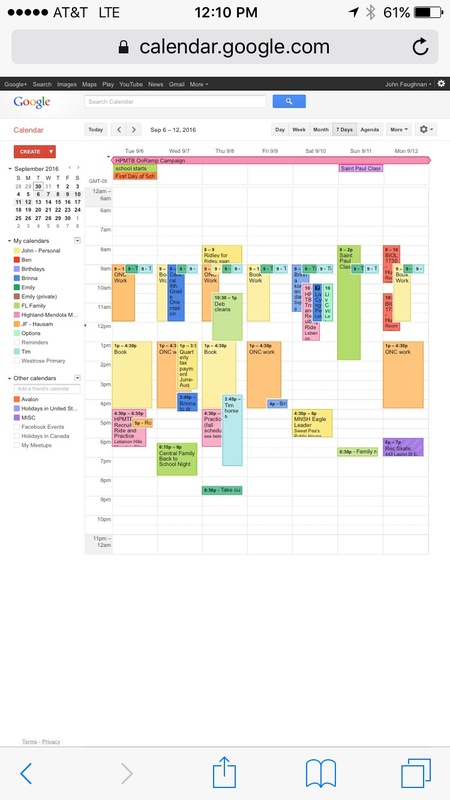 Using desktop view of Google Calendar in Safari iOS. Best small screen calendar month overview. Why don’t devs get this? iOS 9 App Store requires password entry to do a review. Startup grants: a sign of an unserious foundation? Do these ever produce lasting value? Any data? Google email nag – stop using iOS calendar.app. Want switch to their app. I fear they will stop their limited iOS CalDAV support. Ransomware is going to sell a lot of Chromebooks. Noteworthy: many technical net discussions still run on same email, list, and webview technologies we used in 25 years ago. Why? Bin Laden’s heir was killed last August? Link. I don’t recall this getting much attention “Atiyah, who was killed a few months after bin Laden, in a U.S. drone strike in Pakistan last August…”. Atiyah was the man bin Laden wanted to succeed him. Link. “The FCC should force the carriers to cease charging for incoming messages until the spam menace is solved.” yes. Is There a Long-Run Upward Trend in Housing Prices? Link. At last, others note the connection. Link. “Creole is a common wiki markup language to be used across different wikis … enabling wiki users to transfer content seamlessly across wikis”. Link. Doing evil; the early days. After that, it got easier. Link. I did one repair; after five I’d be safe. Not a bad home business if you build a rep. This is where a lot of broken (and stolen too) iPhones go – for parts. Link. China on everyone’s mind. How Did China Let the Chen Guangcheng Case Get So Out of Hand? Link. “The biggest surprise from the year so far is how doable it is to live a 21st-century life in someplace stunningly beautiful. Many people could do what we are doing and reconnect with the outdoors, rural life and nature. It’s not that hard.” Not just rural, they’re rural-isolated. Satellite internet is better than it once was, but also seems they have a cell signal. This is what was predicted in the 80s, but instead workers are moving to cities. Curious. Link. very good news: Apple, Amazon, and Microsoft all at war. Link. A lot like Apple. Link. Now I need to learn Storify. Link. This is mostly wishful thinking and faux-evolutionary reasoning, but denial has its place. Bainbridge fan club t-shirt mine. Link. I think he’s my age. North Korea: Hope at last? Link. Is China at last ashamed of NK? Link. Euthenasia is how we’ll solve our dementia crisis. Link. Yuch. Dropbox should flush the cache more often, or make cache size an adjustable parameter. Link. anyone believe special forces wouldn’t like to kill Kony? Even I’d put him down. Link. Glamor. Declining ambition. Regret. The Strange Transformation of the Economist: Why Oh Why Can’t We Have a Better Press Corps Department? Link. “Emmott abandoned “economic and social liberalism” in favor of rightist”. Link. third. what will DRM be? Link. VCs don’t call bubbles. Link. Gassee is top notch. Link. Bubble. Definitely a bubble. Again. Damnit.